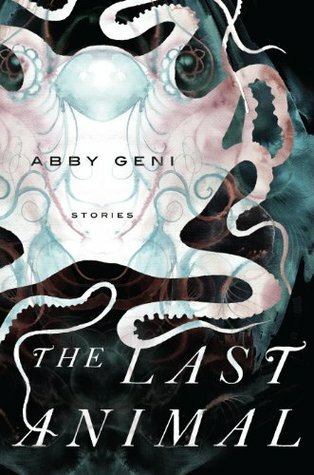 Two of the stories in this collection immediately recalled fond memories from when I first read them in Glimmer Train, so I was eager to read more of Geni’s short stories. I not only enjoyed those stories new to me, the collection gave me new insight and appreciation of those two pieces I’d already read. The Goodreads description for these stories and their unifying theme at the interface of humans with the rest of the natural world, particularly animals. Literary fiction, particularly short stories is grounded in personal tragedy and social conflict, failures to communicate, and profound losses. Geni’s work falls easily into that cliché. However, what makes it specially unique is her juxtaposition of those personal conflicts onto humankinds relationship between the natural world and the fabrications of civilization and social nature. In each of these stories an organism (mostly animals) is used as a proxy for some role normally occupied by a human in the life of the protagonists (or a proxy for some aspect of the protagonist themselves). In this way the theme of ‘no man is an island’ is extended biologically to ‘humanity is not an island’, it exists in some sort of relationship with the natural world. This natural world is necessary, and it has the power of healing and support in the spiritual being of an individual. Geni accomplishes this with masterful subtlety, never is the linking theme of these stories allowed to become overpoweringly overt, never is it preachy, it is an aspect linking the stories whose simple repeated presence begs for contemplation and analysis. Some readers may even come across with completely different insight into this theme of the natural world than I did, and this is the power of these stories. Her writing is precise and flowing, never convoluted or calling attention to its own cleverness, allowing the reader to ponder the themes and emotions of the story rather than cleverness of style. Although the natural world appears as a symbol of connection, strength, and healing, many of the stories here are profoundly sad, and potentially ‘triggering’ for people who have faced the demons and losses that the characters in the story go through. The mature handling of the darker plots, (managing to powerfully convey empathy in the reader without driving them to utter despair and depression) is achieved through these connections to the natural world and the life that shares Earth with us, inviting the reader to consider how the beauty of life can similarly influence us for the better.